Feel free to get in contact with us! You can email us using the following contact form, or text/call us! 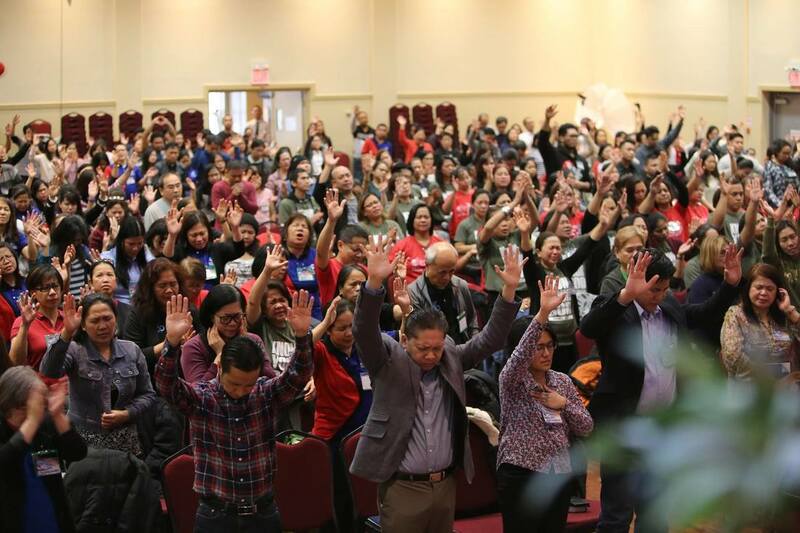 On January 27, 2018, JIL Canada East held its Life Group Summit (LGL) 2018 at JIL Cornerstone Toronto. Over 500 Life Group Leaders from JIL Ontario, Quebec, Nova Scotia, and New Brunswick were refreshed and empowered by the Holy Spirit! It was in 2008 when a group of courageous servants of God planted a seed of faith, through a small group of caregivers residing in Burlington. With the selfless support of Ptra. Remy Quintia, (the Life Group leader at the time) feeding the flocks physically with countless cups of coffees and tons of French fries, the word of God was introduced, a fellowship was been established, and the vision was captured. As the years passed by, seasons of drought came. Some wandered in the wilderness and got lost; some moved out, some became cold and forgot the goodness of God in their lives. In 2016, with the help of brethren’s from JIL Oakville and JIL Hamilton we started to plant again. Watered with prayer, fasting and total dependence on God, the good seeds started to grow and bear fruit. Today those serving in JIL Burlington may not be the first who plowed the land, but God is faithful -- He allowed us to harvest in the seeds that we did not sow. We were once lost, but God has searched and found us. He made us lie down in green pastures and appointed us to be the shepherd of His flocks. What God has done to JIL Burlington is the exact representation of His faithfulness, and we believe that those who know God will find pasture. Jesus is Lord over Burlington!